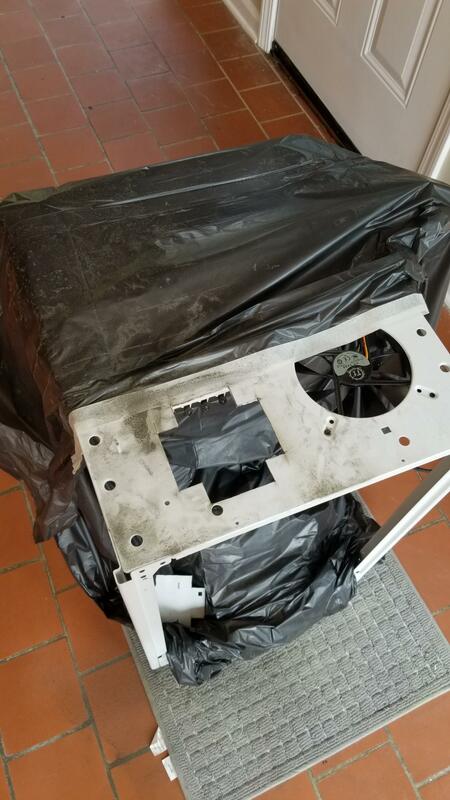 Discussion in 'Cases & Case Modding' started by Flamingo, Oct 13, 2018. I fell in love with this case as soon as I saw it but didn't want to undergo the hassle of water cooling for my new PC build. 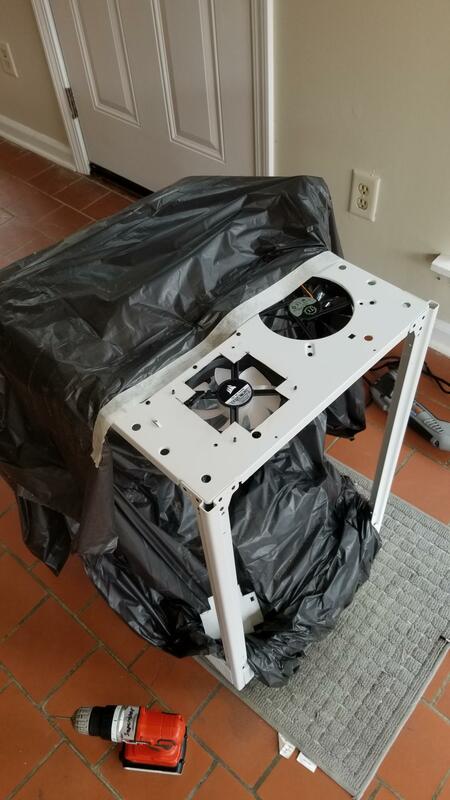 After looking around this site was really the only place I could find any info on this case with air cooling but I didn't like the builds I saw so I started doing my own thing. 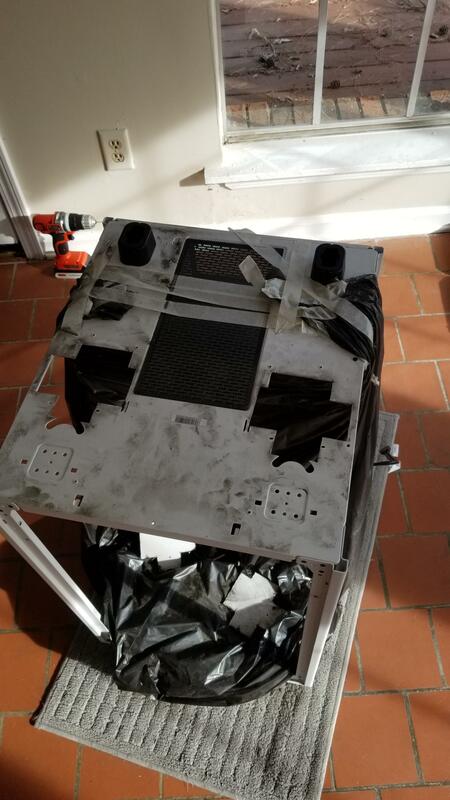 By taking a radiator/fan mount from the back of the case I was able to mount the 360mm All in one to the top of the hard drive mounting block in the front of the case just under the motherboard. 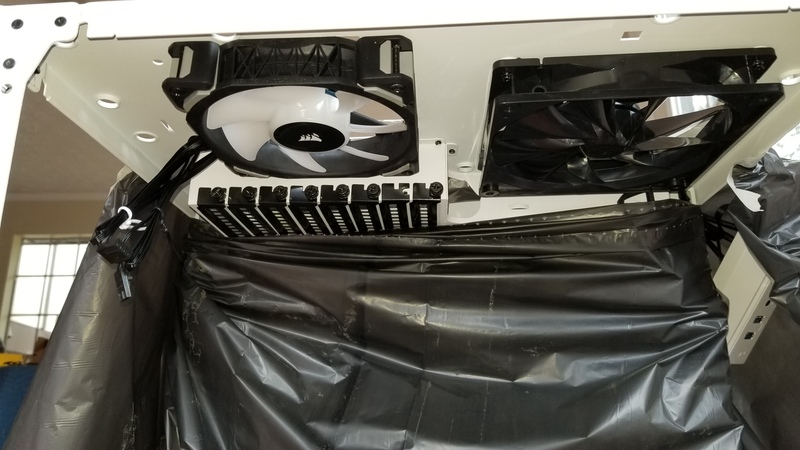 I put the fans upside down on top of the radiator to pull air through it and send it up to the top of the case. 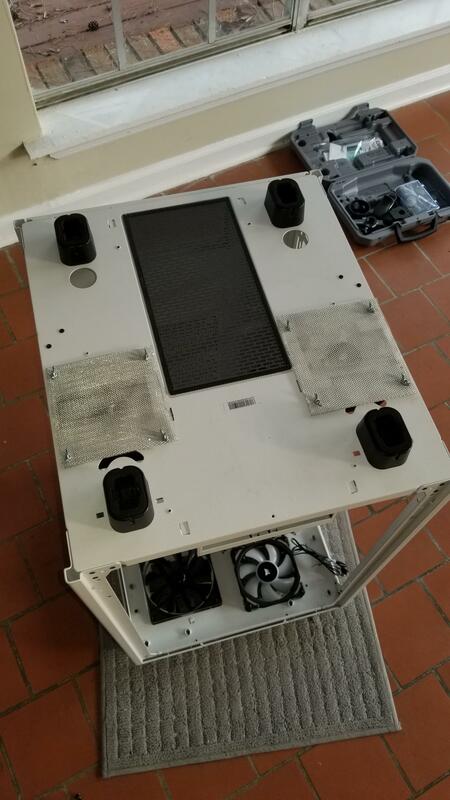 After that I installed two fans underneath the radiator to help even more to pull air up from the bottom of the case and send it through the radiator. 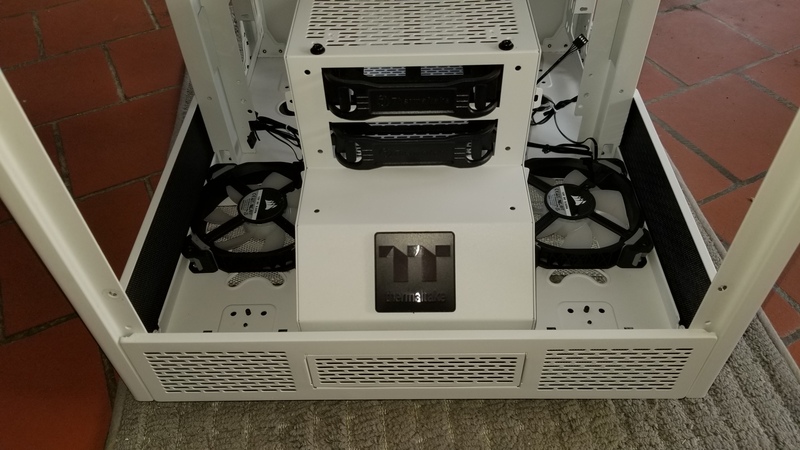 I will also install and extra fan or two in the back bottom portion of the case to pull air in and send it into the front bottom of the case. The vent fans at the top will evacuate the flow of air in the end. 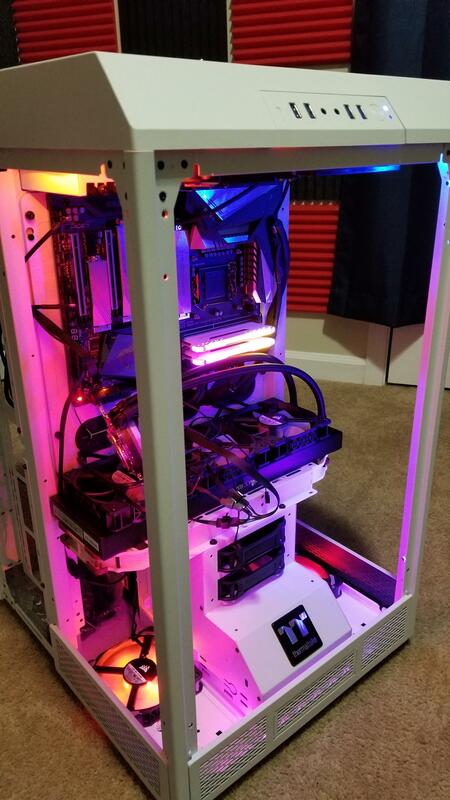 Wanted to update this post with some recent pictures and fan modifications I've made as parts came in. 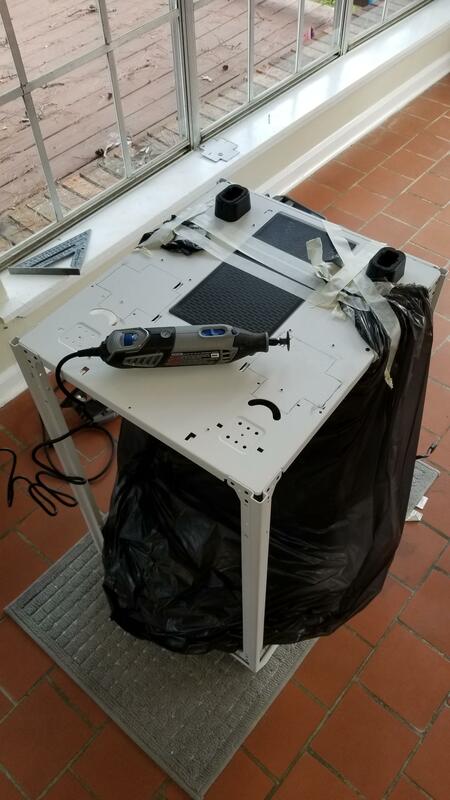 Check out these images of my air cooling solution! Insane air flow and AIO compatability! 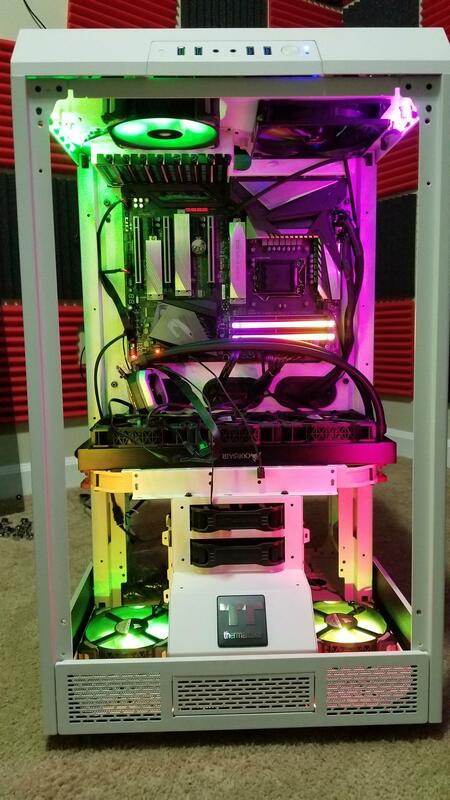 Can't wait for my i9-9900k to come in so I can move over my 2080 Ti and drives to this new build. 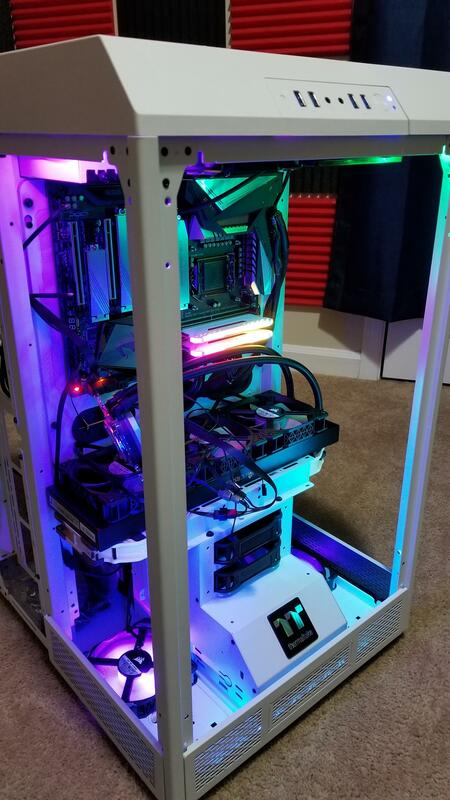 Currently have a Z390 Aorus Master, Corsair H150i 360mm AIO, 32GB Corsair Vengence 3200hz (2x16), and a Corsair RM850x in the case right now with Corsair LED lights and 120mm Magnetic levitation fans modified into the case.